From the author of “Opening the Door to Major Gifts: Mastering the Discovery Call” (Charity Channel Press, 2013). I don’t know about you, but if I never see another dire report bemoaning the troubles of the fundraising profession, it will be fine with me. Mind you, I’m quite aware of the challenges that we face. Reports like “Underdeveloped” (January 2013) rightfully underline that there has been a seemingly unending revolving door to and from the development director’s office. Insufficient training and support typically handicaps the new fundraiser, and those who do excel usually move on quickly — they can write their own ticket. Much has also been been made of the average tenure of the new fundraiser — as little as 16 months — which is not nearly long enough to build the relationships necessary for successful resource development. Indicators like these point out that nonprofit organizations can do much more to “embrace fund development” and “elevate the field of fundraising.” Rather than treating the fundraiser like a second-class citizen, the work of development must be valued and appreciated at every opportunity. No argument here. There is another factor, however, that needs to come to the forefront. 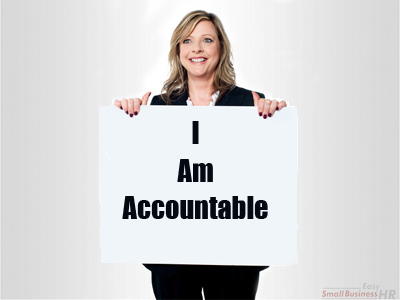 Fundraisers must be held personally accountable for their success, or sometimes lack thereof. One of the reasons that I wrote “Opening the Door to Major Gifts” was that I saw a lack of discipline and commitment on the part of a number of fundraisers whom I have known and worked with over the years. Yes, their organizations could have done more to support them. And yes, each nonprofit as a whole should be held accountable for fundraising. But in the end, the buck stops with the development director. It is my opinion that more new fundraisers would find success if they exercised rigor through the use of proven fundraising practices. My personal methods of identifying and qualifying potential major-gift donors are an example of such methodologies, but there are many other effective practices in major gifts. On many occasions in the past, I can recall a colleague telling me how difficult it was to make donor appointments. My response was always to inquire how many times the colleague had attempted to reach the prospect on the phone. More often than I would like to recall, the response was “two or three” times. That is simply not nearly enough. I suggest at least seven attempts to reach the prospect by phone before either recycling them for later followup or dropping them from your list. The bottom line is that the fundraiser must be personally culpable for triumph or failure. Yes, we should work to encourage greater organizational support of our work. But let’s also make sure that we are maximizing the resources that we have available. Another methodology I advocate for in “Opening the Door” is to spend at least one hour each day (uninterrupted if possible) attempting to set up donor appointments. Try it, and you will find that you can make a ton of calls in 60 minutes. But you have to make the commitment to do it, even on the days when you don’t feel like doing so. I know, I have days like that too. Again, I do not deny that the fundraising profession often gets a bad rap. I think as time, however, moves forward that it will eventually change for the better. Increased professionalism, training opportunities and the growth of the nonprofit sector all point to an improved outlook. Until then, we should not use such factors as an excuse for any fundraising challenges that we face. Rigor, discipline and persistence can all take us a long way toward elevating the development profession and advancing our collective fundraising success.